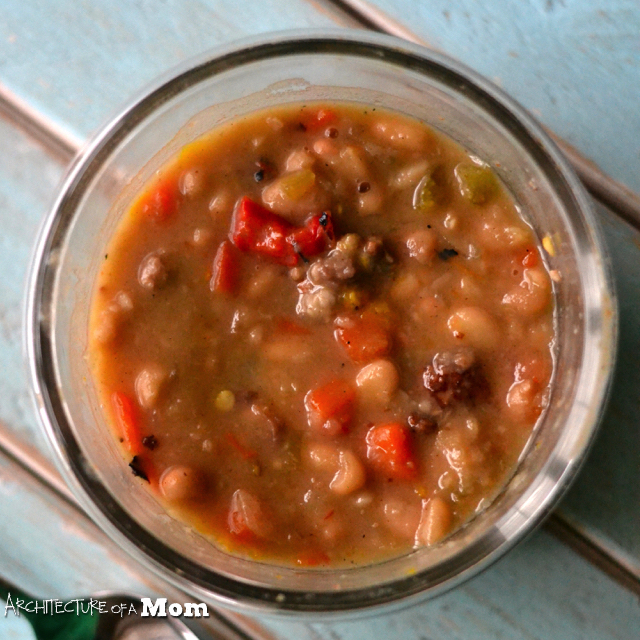 In January, most days all I crave is a hot bowl of soup for a meal that isn't too heavy but still "sticks to your ribs." 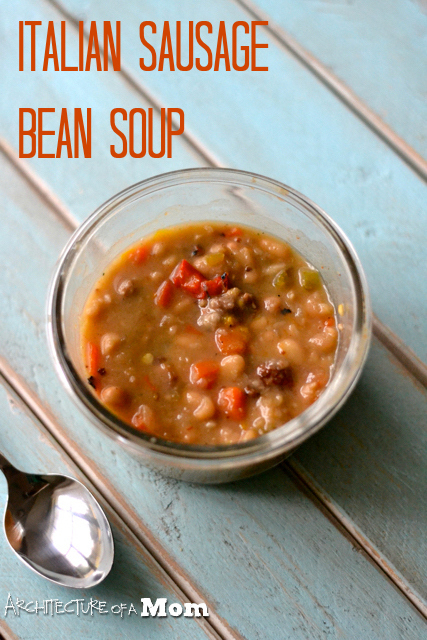 This Italian Sausage and Bean Soup is just that sort of recipe. This weekend before the football game I made this soup and my sister's family came over and brought a pot of soup. All my girls picked my soup. (I think it was the known overcoming the unknown--I'm definitely not knocking the other soup!) But what surprised me was that my nephew (who often looks askance at any unidentified vegetable matter in his food) chose to eat this soup. And then he raved about how good it was. So there you go: it got high marks from a kindergartener! 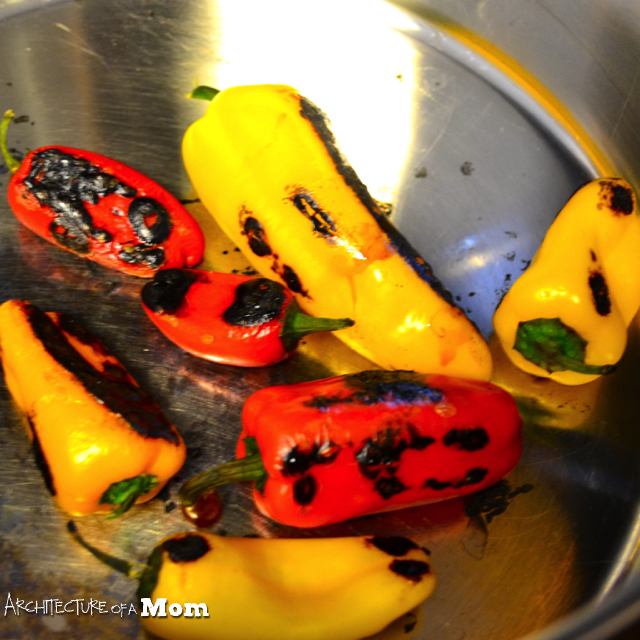 Roast your peppers using your preferred method. I just roasted mine in a dry pan. Just realize that the pan will be screaming hot and you'll set off the smoke detector if you put anything else in it immediately afterward. Wrap peppers in paper towels to cool and then remove skin. Mince. Brown your sausage and drain all fat in a frying pan. In a separate soup pot, add olive oil over medium heat. Add carrots, celery, and onion and cook until the onion is translucent. 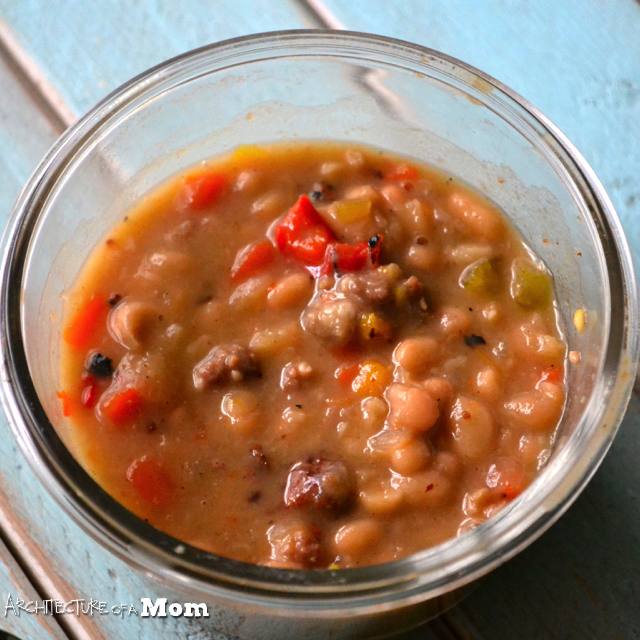 Add cooked sausage, peppers, broth, and beans. Simmer for 45 minutes to 1 hour. Skim any froth.